Home | 2015 | February | 18 | Lenten Season is here! February 18, 2015 General NewsLiturgical Planning TeamComments Off on Lenten Season is here! 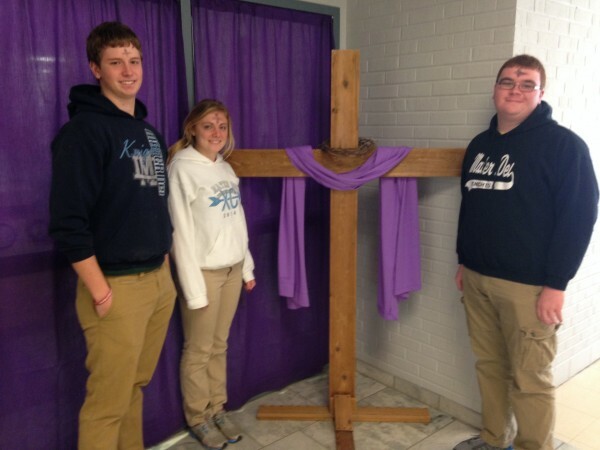 MD students prepare for the Lenten season with a cross in front of the office.